Lambergh Chateau – A right royal feast! 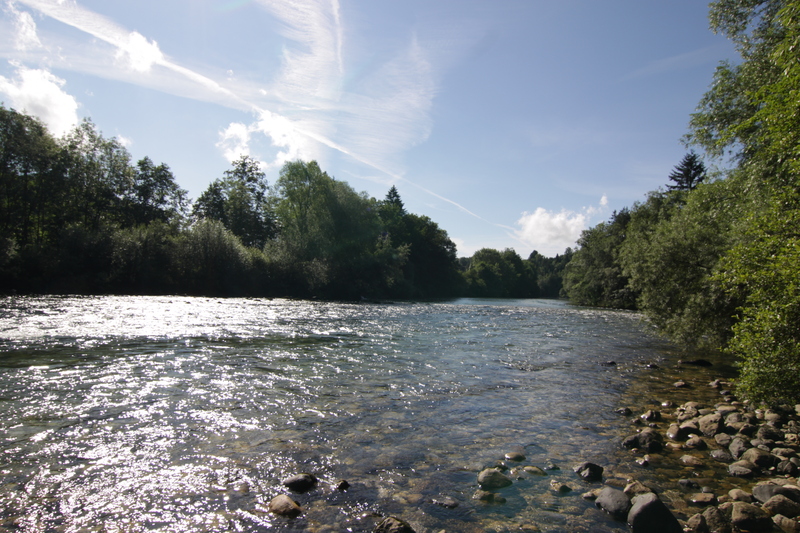 The weather was the talk of the town this week, but this time for the right reason as temperature records were once again shattered with parts of south-east Slovenia basking in temperatures of 27 degrees, which in March is unusual to say the least. 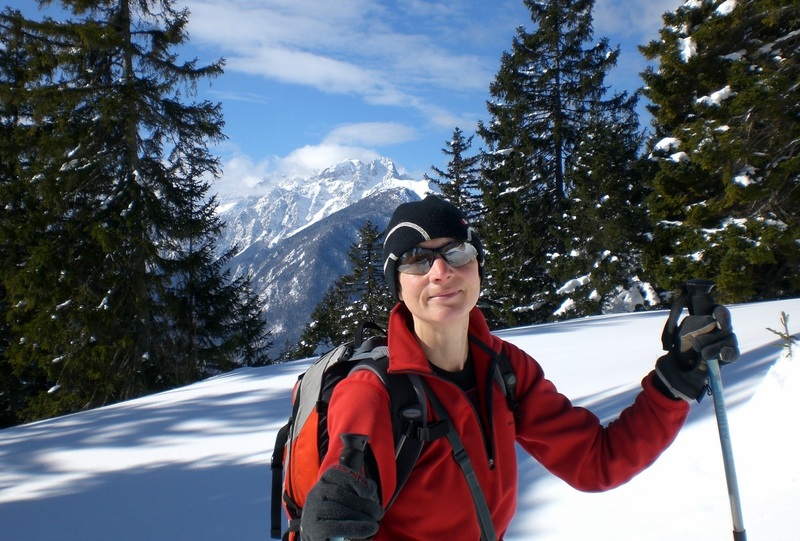 Here in the alpine region of Gorenjska, the temperatures didn’t climb quite that high, as is to be expected when there are still metres of snow in the high mountains, but did reach around the 20 degree mark, which was pure bliss while it lasted. The weekend brought a return of the rain, and with it lower temperatures, but its officially spring now so things are looking up. My week flew by in a whirl as I was quite busy with translating work, meaning several early starts and late finishes, which left less time than I would have liked to make the most of the clement weather. I did however (of course) manage to squeeze in a few short bike rides and am looking forward to many more in the months to come and will of course be blogging about them, and my hikes too. 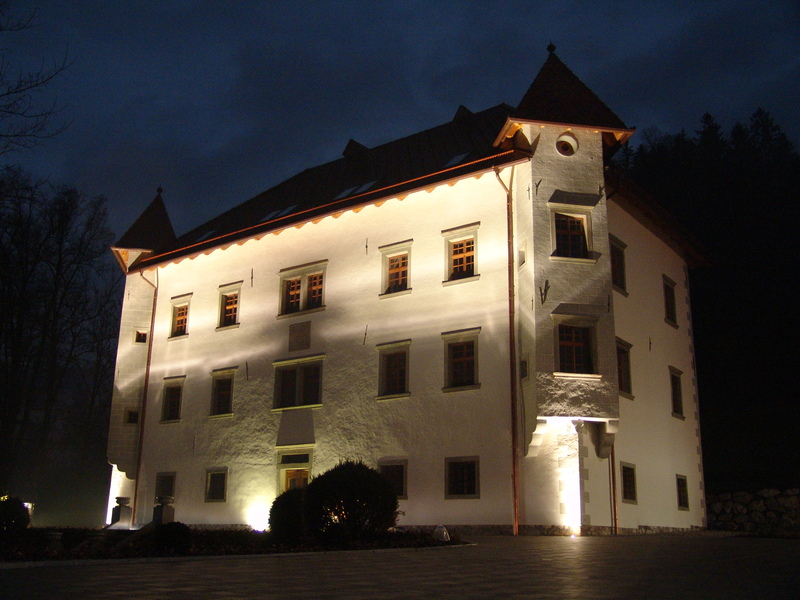 The week, the first of three Chateau Dinners (Grajska vecerja) took place at Lambergh Chateau in the village of Dvorska vas, near Begunje na Gorenjskem, just a few kilometres from Radovljica. The history of the Chateau, part of the Lambergh Chateau and Hotel, dates back as far as the 11th century and was at one time, in the 16th century, owned by Count Lamberg, hence the name. It was completely renovated in 1531 in the Renaissance style and the latest renovation, in 2011, ensured its original appearance was preserved, along with the modern touches required to bring it into the 21st century. The Chateau Dinners are open to both hotel residents and non-residents and take place monthly. The menus are seasonally adjusted and comprise 4 courses, with matching (and plentiful!) wine. 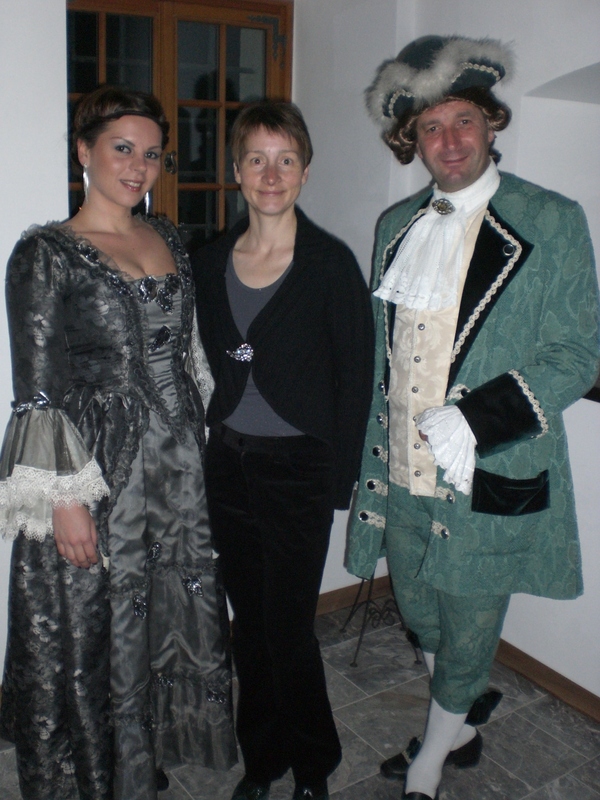 On this occasion the wine was provided by the Sartori Estate from the Primorska region of Slovenia, near the town and port of Koper, and diners were also kept amused by the running ‘will they/won’t they’ entertainment provided by Urška and the noble Tonček, as seen below. 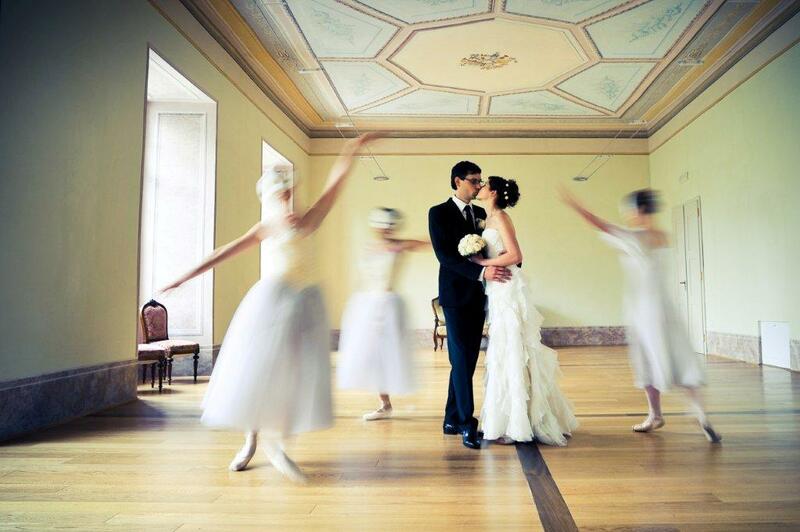 As well as accommodation and the restaurant, the chateau also houses an intimate wedding chamber, which, together with the small restaurant, makes the ideal venue for smaller group celebrations. Woops, back to the aforementioned food, I got sidetracked by chocolate again……. To started we were served a courgette carpaccio with tomatoes and fresh goats cheese. 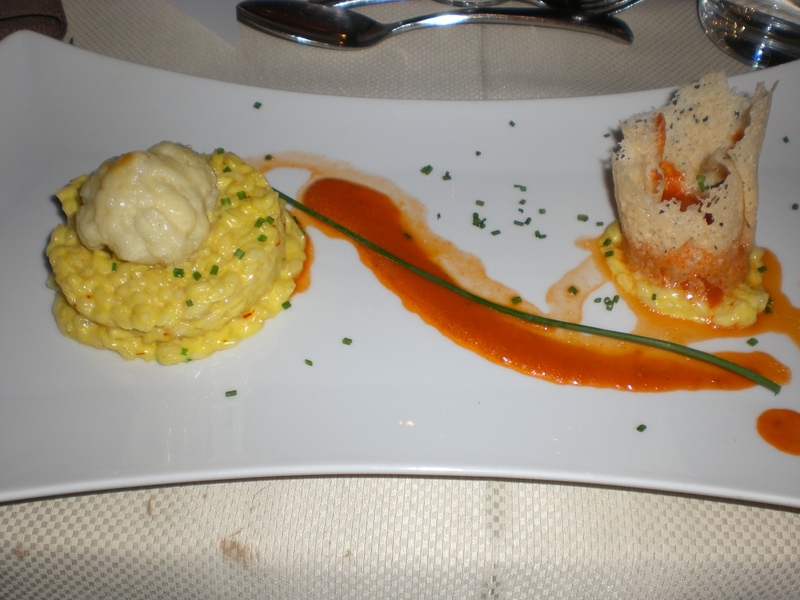 Next came a gratinated scallop with saffron risotto. And for the main courses deer medallions wrapped with pancetta, potato blinis – which were seriously melt in the mouth and I could have eaten a whole plate of them alone – and a sprout wrap filled with mushrooms and gorgonzola. 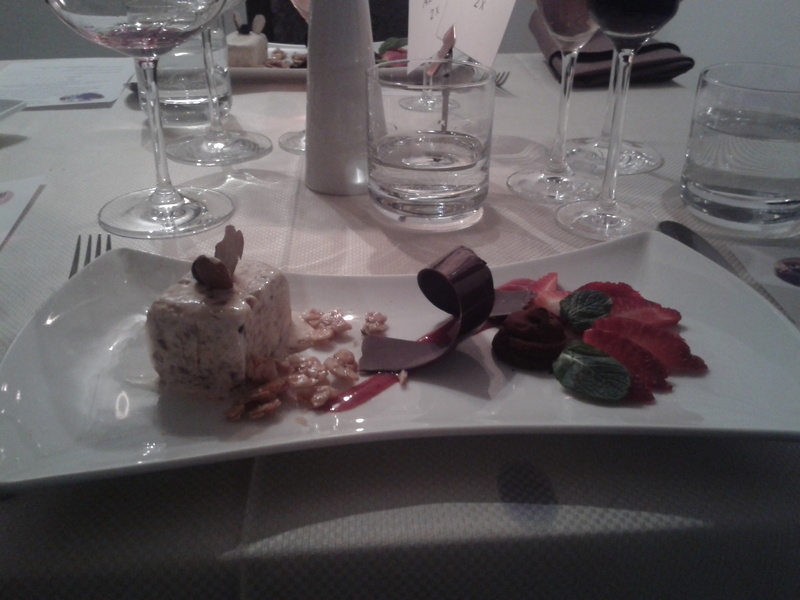 And for dessert, an almond parfe with chocolate truffle and berries – need I say more! The food was delicious, a treat for the eyes and the palate and I’m looking forward to the next one already! 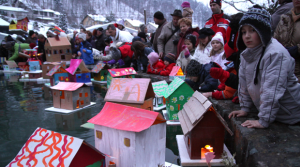 On Tuesday, the eve of St. Gregory’s Day, I went to the small former iron-forging village of Kamna Gorica, in the Lipnica Valley, to watch the annual tradition of floating local children’s handmade creations, illuminated by candles, in the village stream. It is such a colourful and simple custom, but one which brings great joy to young children who watch on proudly as their creations float by and are judged for their creativeness. Meanwhile the adults get to stand back and watch, also proudly, enjoy a warming mulled wine and saviour the atmosphere. As can be seen in the photos below (more to follow on Pinterest), some of the creations were clearly painstakingly and meticulously thought out and constructed, others just simple paper creations, but of course its the taking part that counts! The custom dates back to the era of manual iron-forging, before the introduction of the Gregorian calendar in 1582, when the name day of St. Gregory was considered the first day of spring. And since there has barely been a cloud in the sky all week, it certainly feels like spring. We could hardly ask for more perfect weather for this time of year. It‘s certainly much appreciated after the bleakness of February. Earlier today, whilst walking around, it occurred to me how even the narrowest of streets now appear to be so wide, and what a luxury it seems to have the entire width of the pavement to walk on, these having been piled up high with snow for weeks on end before. How one learns to appreciate the simple things in life! With the temperatures currently in the mid-teens the snow line is currently at around the 1,000 metre mark, somewhat higher on the south facing slopes. However, above this level there is still plenty of the white stuff as can be seen from the HUGE snowman that greeted my arrival on a hike up to the Roblek Mountain Hut (1672m) from the Draga Valley. It’s been warm enough to cycle too, which is unusual in March, so my bike has had an early awakening from its winter hibernation! 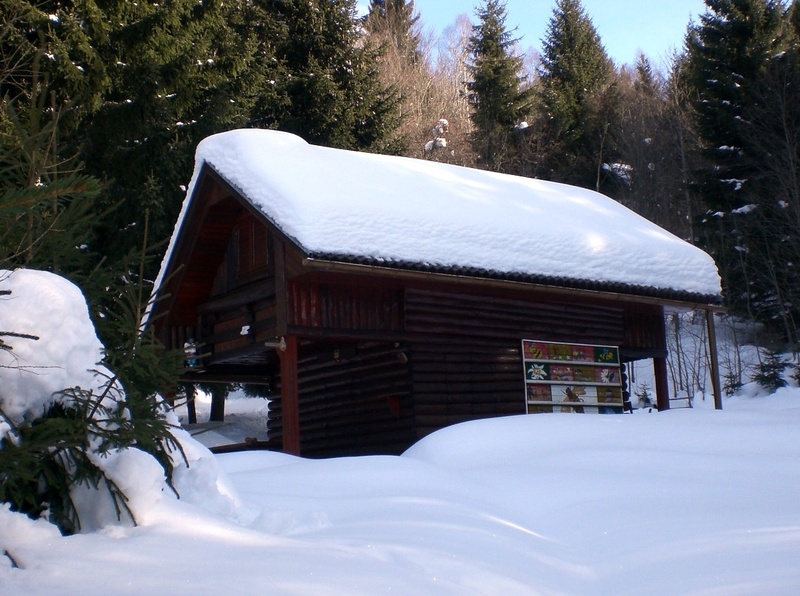 It was a big weekend of winter sporting events in the Gorenjska region of Slovenia. On Pokljuka the World Biathlon Cup took place whilst in Kranjska Gora it was the Vitranc Skiing World Cup competition. Whilst this was great for the many spectators and armchair fans of winter sports, it left me with something of a quandry about where to go in order to avoid crowds and traffic congestion. 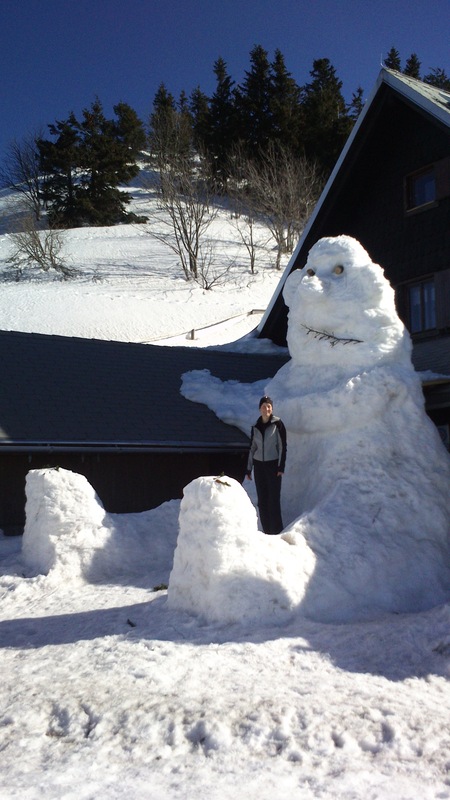 And with the weather forecast to be glorious all weekend, which it was, I had to come up with something! 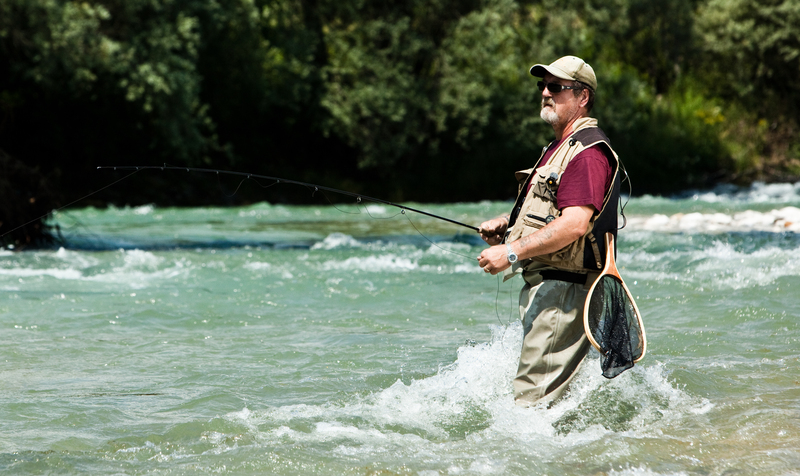 Fortunately Radovljica‘s favourable location, flanked by the Karavanke range, the Julian Alps and the Jelovica plateau, means one doesn’t have to go far to have a wealth of options. However, at the moment there is still several metres of snow in the high mountains, whilst at lower altitudes there is the problem of the vast amount of fallen trees resulting from February’s ice-storm. So one has to carefully select where to go bearing all these factors in mind. In the end, I settled on Dovška Baba, part of the Karavanke range, reached from the village of Dovje. I make the hike to the peak of Dovška Baba (1891m) at least a few times a year, usually during the summer and autumn, but it is also popular during the winter, albeit in the current conditions, it is perhaps more suited to ski touring than hiking. From the top there are stunning views in all directions; on the Slovene side across towards the village of Mojstrana, Triglav and the Julian Alps, and into Austria on the other side. There is a small hut, which isn’t open during the winter, located on the Dovška Rožca highland (1650m) and due to the amount of snow and the hike taking way longer than it would usually do, I only went as far as the hut on this occasion. I walked up on the road, but having later noticed that the path was somewhat trodden, I pondered whether or not to return on the road or the path. In the end I plumped for the path, which leads fairly steeply down through the forest, thus making for a much quicker return trip but also a VERY wet one since by then the snow was incredibly wet as it was so warm and I returned to my car with feet wetter than had I been for a swim! Everywhere you go at the moment, you can hear the constant and distinctive din of chainsaws, as foresters, and forest owners, go about clearing up the devastation from the ice storm. One the one hand I find the noise comforting, to know that some of the impassable areas may soon once again become passable. However, on the other hand it evokes a degree of sadness at the sheer amount of trees that have been lost. In what could perhaps be considered something of a silver lining, I read this week that hundreds of the unemployed are to be offered the chance to train as foresters in order to help the clear-up operation, which will last several years. And in another stark reminder, a friend and I had something of an unexpected adventure during our lovely sunny Sunday afternoon stroll, from Radovljica down to the Fux suspension bridge over the Sava river, where we were pleasantly surprised to find the path free of debris. Had we returned the same way it would have been fine, but choosing to take a different path proved to be a mistake and involved us clambering steeply up an embankment due to the sheer number of fallen trees entirely blocking the way ahead. But we survived to tell the tale! This coming week, on Tuesday 11th March, on the eve of St. Gregory’s Day, it will be once again time for the local age-old iron-forging custom of floating handmade creations, illuminated by candles, in the streams and villages of the iron-forging villages of Kropa and Kamna Gorica. 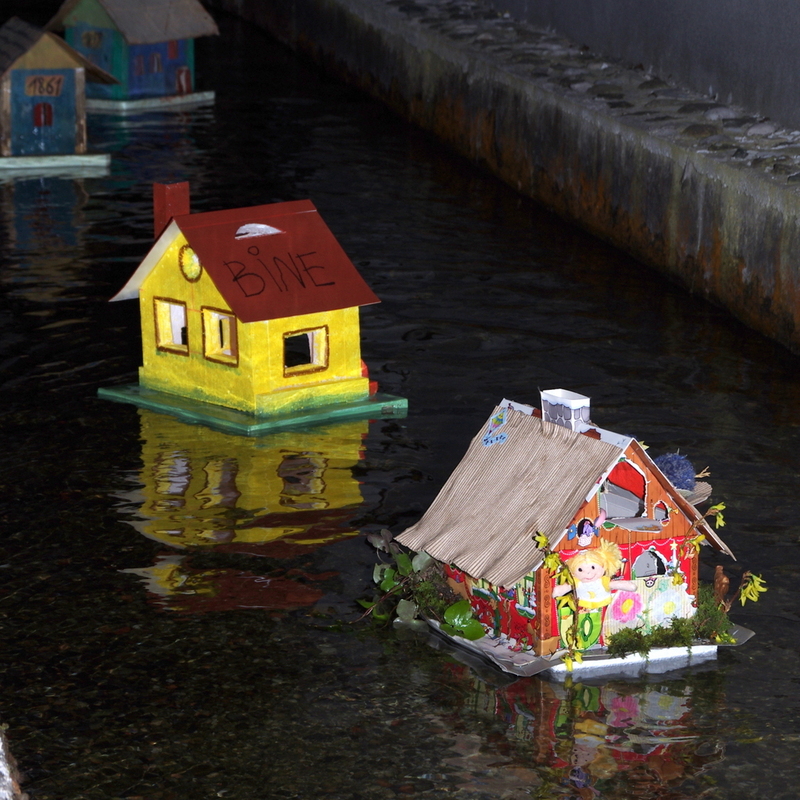 The events, which begin at 5pm in Kropa and 6pm in Kamna Gorica, involve the floating of the models, which are a mixture of unique art creations made from paper, cardboard and wood with candles affixed either on the exterior or interior, creating a colourful effect against the dusk setting, together with an accompanying programme. This custom dates back to the era of manual iron-forging, before the introduction of the Gregorian calendar in 1582, when the name day of St. Gregory was considered the first day of spring. Unlike last year, this year the spring gods appear to be listening as the week ahead looks set to be bathed in sunshine and pleasant spring temperatures. 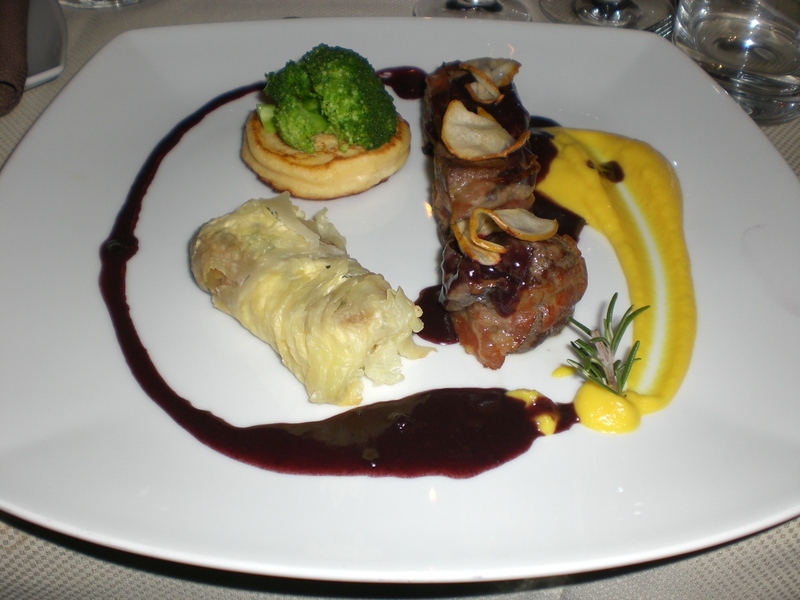 Also coming up soon it will once again be ‘Restaurant Week‘ (Teden restavracij – website only in Slovene –http://tedenrestavracij.si/ ) throughout Slovenia. During the period from 22nd – 30th March, many of the finest restaurants throughout the country will offer specially prepared menus, of at least three courses, for the set price of just 14 euros per person, which means a great opportunity to try out some new and different restaurants. 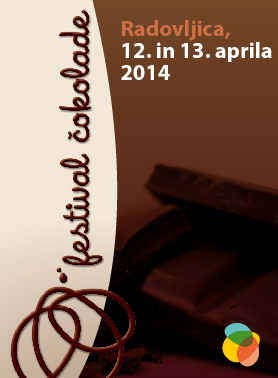 In the Radovljica area, both Vila Podvin and Gostilna Kunstelj are participating. But hurry, bookings must be made in advance and many restaurants are already fully booked. I’ve made my reservation already! If you are Facebook user, don’t forget to like the new ‘Adele in Slovenia‘ page, where, in between my weekly blog posts, you will be able to find up-to-date news and information about things happening in Radovljica and the surrounding areas. 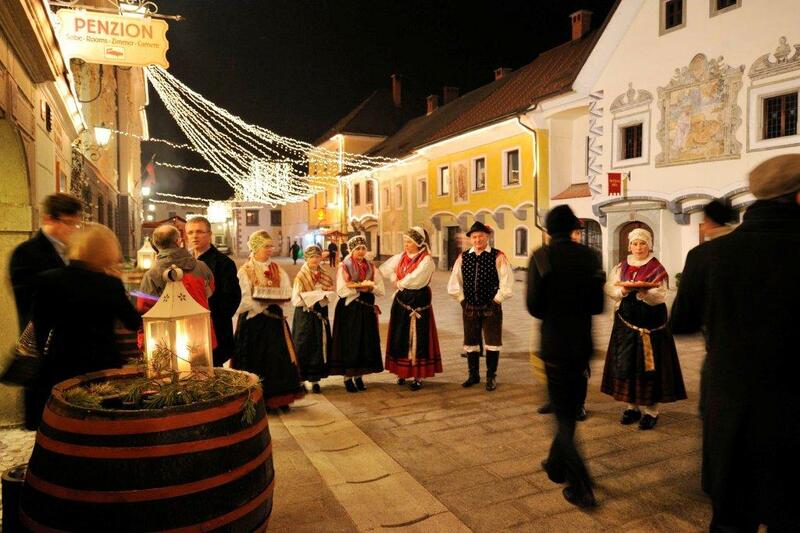 The inaugural Shrovetide Carnival (Pust) Dance took place on Saturday in Radovljica and I was fortunate to be invited. The theme of the dance was ‘Sanitising Slovene Banks’ – bringing a lighthearted note to the otherwise serious problem of the financial crisis and trying to restore the hole in the Slovene banking sector. 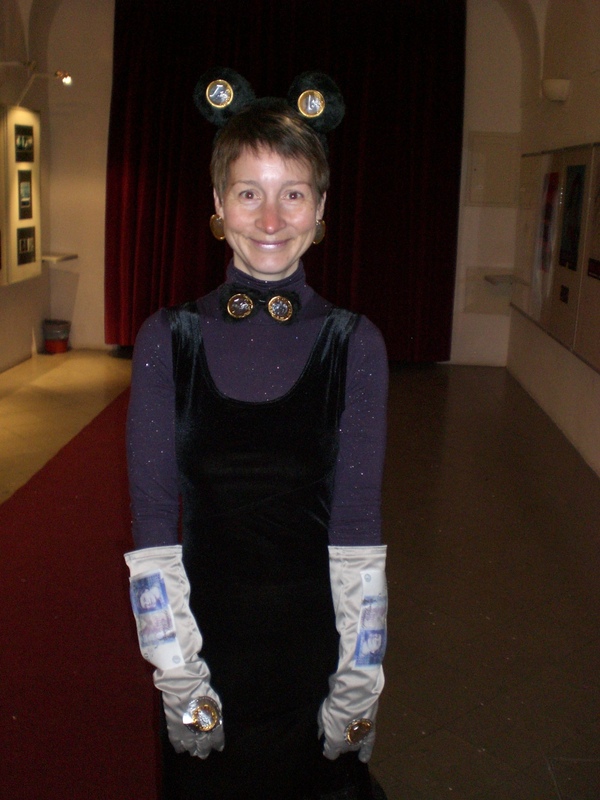 Since fancy dress was obligatory, and in keeping with the financial theme, I decided to go as Mickey Mouse’s new friend ‘Money Mouse‘! 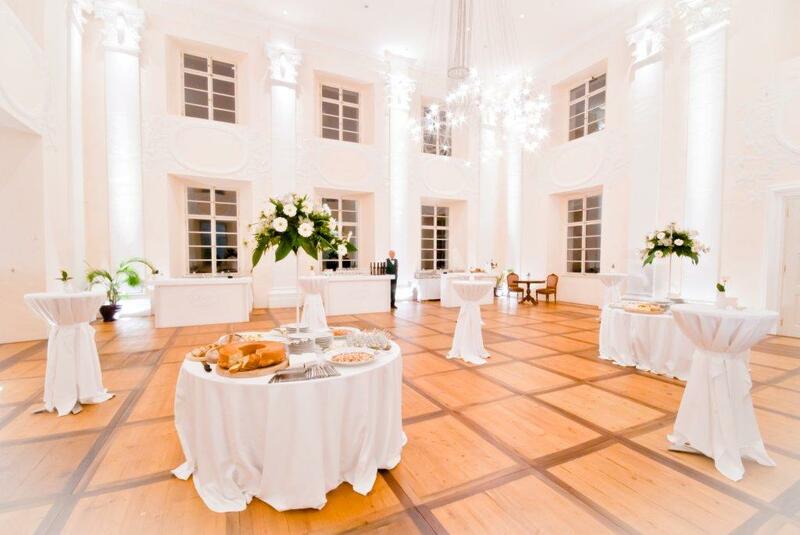 Guests were greeted in the lobby of the Radovljica Mansion, photographed on the red carpet and given the 10,000 euro banknote, which was specially printed for the event. After an aperitif, ‘Money Mouse’ together with the various nuns, cats, nurses, policemen, lynx (in a nod to the one which is still on the run from Ljubljana Zoo following the destruction caused by the recent ice storm) and others, made their way up to the Baroque Hall where the evening’s entertainment began. 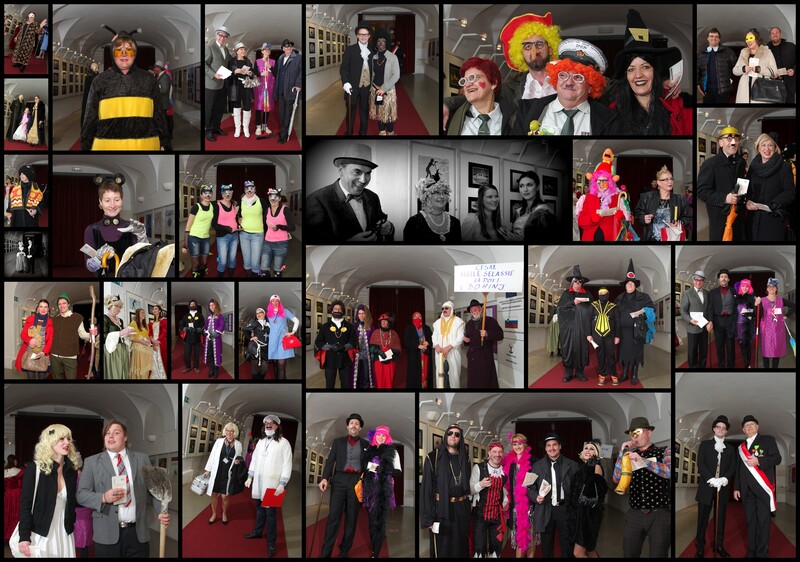 It was impressive to see the efforts everyone had gone to with their costumes and a fun evening was had by all. 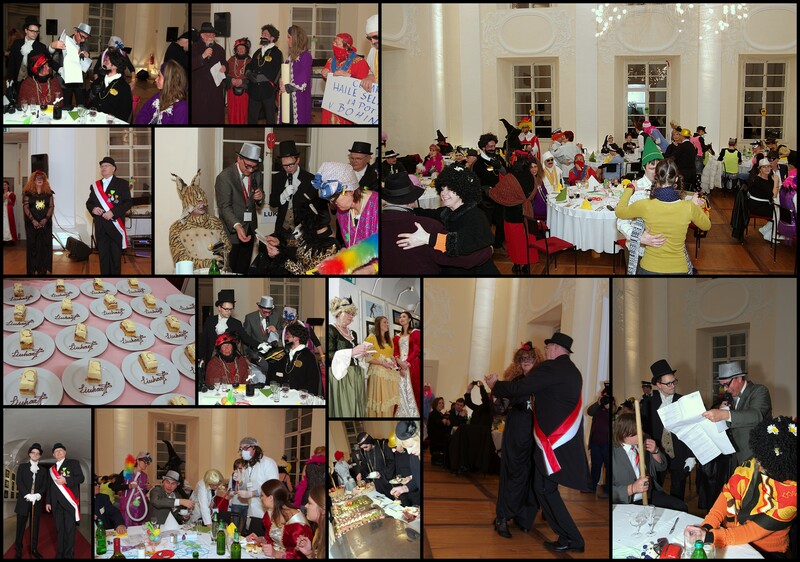 There was live music, provided by the band Medik and delicious food, provided by the 7 restaurants involved in the Taste Rado’ca project (see http://wp.me/p3005k-8s) ably assisted by students from the Radovljica School of Hospitality and Tourism. Such was the deliciousness of the food, ‘Money Mouse’ rather overindulged but still managed a shuffle and a wiggle of the tail on the dance floor! Let’s hope this event becomes another staple on the Radol’ca Events Calendar. Earlier in the day the annual Shrovetide Carnival Parade (Pustni sprevod) travelled through Radovljica and even the rain showers didn’t dampen the spirits. 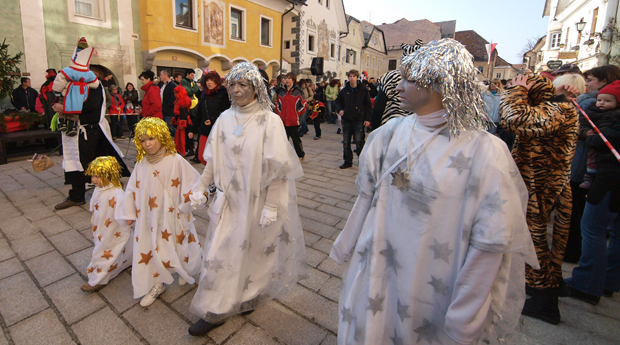 The parade was awash with colour as the floats and accompanying costumed participants, with a special tribute to the successful Slovene winter Olympians, proceeded through the town ending in Linhart Square in the old town centre. As of this week ‘Adele in Slovenia‘ now has its own Facebook page too. Having avoided it thus far, I finally succumbed, or rather was persuaded, in order that I am able to post news and information in between my weekly blogs. You can find a ‘Like’ box towards the bottom right-hand corner of this page, so be sure to ‘Like’ it, if you want access to more news and regular updates. More pictures from this week’s carnival events can also be found on Pinterest. Earlier in the week the Slovenian Forestry Institute issued the first official estimates of the damage caused by the recent ice storm and it made sombre reading. Up to 660 hectares of forest will require clearing and 7 million cubic metres of wood will have to be cut, twice as much as initially thought. Some 2 million seedlings will be required for replanting and there is now a drive to hire foresters, several hundred are needed. When driving and walking around, there is visible evidence of the destruction but I was particularly shocked and saddened this week, when I went for a walk around Lake Bled, for the first time since the storm, as the path had been closed since. A part of the path was still closed to allow foresters to clear the most affected area, under Bled Castle, which now appears almost barren. Elsewhere entire trees lie in the lake but the great clean-up is already underway and in general the damage is somewhat localised with paths at lower altitudes, where deciduous trees are dominant, being particularly affected. 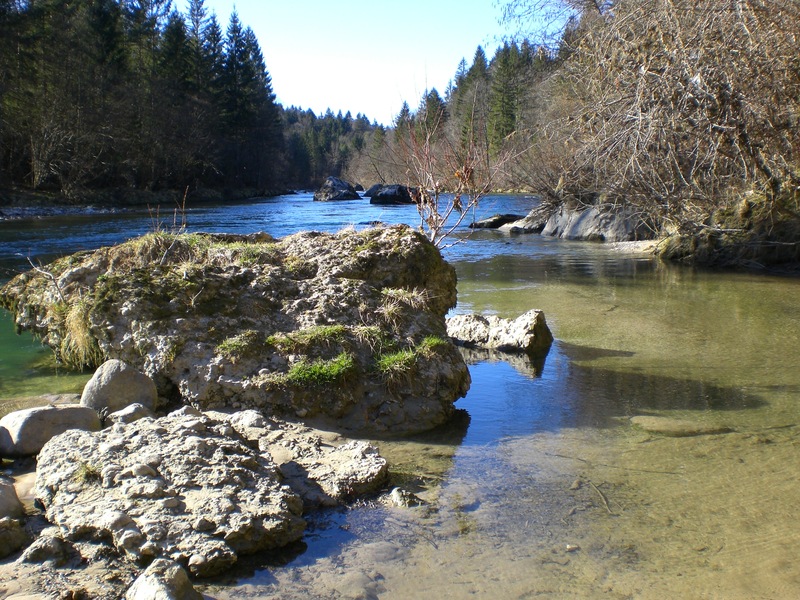 I have slowly been discovering where is and isn’t safe to walk as many of the paths still remain closed and impassable. There were a couple of days of glorious winter sunshine during the past week and I managed hikes to both the Roblek Mountain Hut (1672m) and the Hut on Dobrča (1478m). It is interesting to note that Roblek, part of the imposing Begunščica mountain, is part of the Karavanke range, the mountains that form the border between Slovenia and Austria in this part of the country, whilst neighbouring Dobrča is actually part of the Kamnik-Savinja Alps. The former was without problem whilst the latter, beginning from Slatna, involved a little negotiating of fallen trees to begin with, but was ok once some height had been gained.